This class will explore all the basic operation of the Jet Threaded Sergers. Master the four thread, three thread, rolled hem, and flat lock. 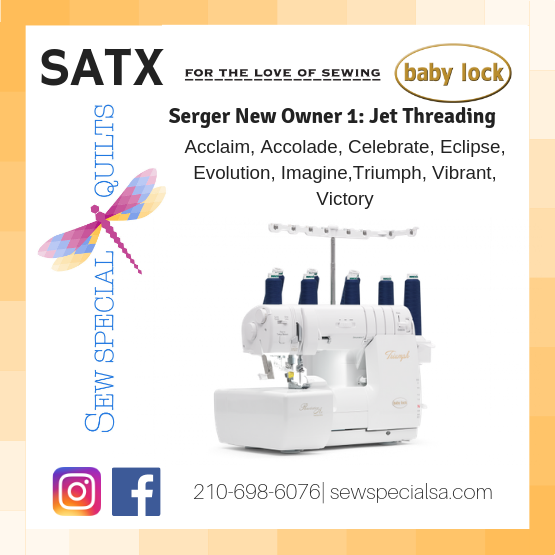 FREE if you machine was purchased at Sew Special Quilts. If you did not purchase from up please call 210-698-6076 with payment.